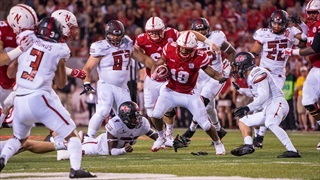 Notable quotes from Nebraska’s season opening win over Arkansas State. Running back Tre Bryant rushed for 192 yards on 31 carries. “Like I said earlier, it felt good to kind of get in that rhythm. To hit the hole of a certain play over and over and see them try to creep into the hole so now you bounce it out to the outside, just setting things up and moving better, and that just comes with the rhythm." He always wanted to play with me. I guess this is his chance. "He’s pretty cool. He’s real nice. He’s good. He always wanted to play with me. I guess this is his chance." "We made sure we had him covered up. Some of our protection problems came on the inside. It wasn’t the edge rush. One time it was but we had a bust in the backfield and it was a nickel back it was a d-lineman. We had a good plan for him and we kept him in check pretty well." 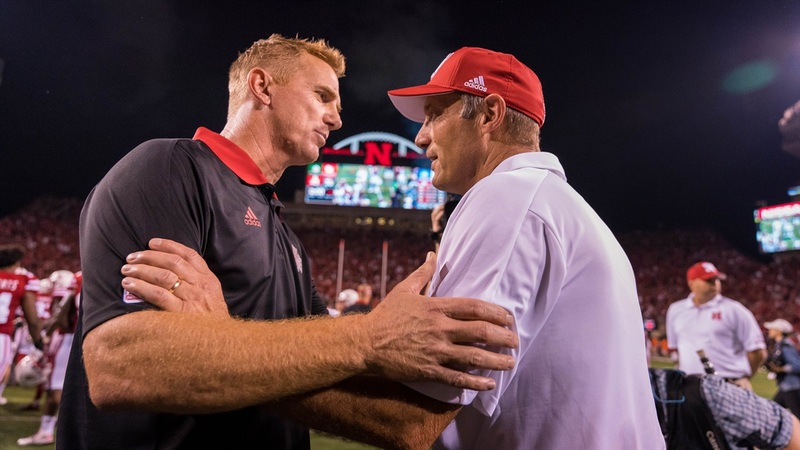 "People have been asking me all week what I thought, and I told them we were going to give Nebraska all they can handle. I think we had a chance to win this game and expect to win. So I'm frustrated that we didn't do that. You don't get that opportunity that often, and we had it and didn't .